A Guide To Personal Lubricants & The Best Lubes To Use. While personal lubricants are well known for their role during intimate moments, many people don’t realise the amazing potential these lubricants have for other facets of our lives. By definition, a lubricant is any substance that helps to reduce friction between two surfaces. For this reason personal lubes make wonderful massage lubricants when used as a medium between the skin and handheld massagers. Also sometimes referred to as massage gels, personal lubricants provide numerous health benefits and can help to make the massage experience even more enjoyable. From water based lubes through to warming lubricants, Wand Warehouse is proud to offer the best lubes Adelaide, Brisbane, Darwin, Hobart, Melbourne, Sydney and Perth customers can order online and have delivered to their door anywhere across Australia via Australia Post. Protection: Massage lubricant helps to protect the skin from friction caused by the vibrating massager. Improved Glide: Lubricants provide improved glide during massage with either the hands or handheld massagers, for a smoother flow between strokes. Healthier Skin: Most good quality massage gels provide the skin with extra nourishment to leave the skin feeling soft and hydrated. Good Vibrations: The best lubes also act as a medium for handheld vibrating massagers; sending the vibrations effortlessly through the skin and deeper into the tissues for a more enjoyable massage experience. Easy Clean Up: Personal lubricants, especially water based lubes, are easy to clean up and don’t leave a sticky residue like some massage oils do. While personal lubes come in many formulations and textures, the best lubes to use with handheld massagers are water based lubricants. Due to their hypoallergenic nature, water based formulas are considered the best lubes for massage all over the body and with any silicone massager. Some massage lubricants contain extra ingredients that create extra sensations on the skin’s surface. Warming lubes help to warm the tissues and encourage relaxation. When you want to add some extra ‘zing’ to your massage experience, tingling massage gels are the perfect solution. Flavoured personal lubricants can add an extra element of fun to any massage session. Offering the same wonderful glide as any good water based lube, flavoured lubricants will make your skin taste good enough to eat! While silicone lubes make a wonderful massage lubricant for hands-on massage, some silicone based formulas are not recommended for use with personal handheld massagers. This is because the silicone in the lube could react with the materials in the massage head, causing deterioration of the massager. Silicone lubes are great for use in the shower, bath or hot tub, as they don’t dissolve in the water like water based lubes do. First and foremost, make sure the personal lubricant you have chosen is compatible with the materials on your massager. Water based formulas are the best lubes to use due to their compatibility with plastic, latex and silicone. To get started add a few drops of lube directly to the massage head. This gives the lube a chance to warm up a little before coming into contact with the skin. Place your massager onto the body part you wish to massage, turn it on and away you go! If you feel like the lubrication is drying up, simply add a few more drops as you feel necessary. If you have used a water based lubricant, you can bring your lube back to life by adding a few drops of water onto the skin. Once you have finished using your massager, be sure to clean the massage head thoroughly as per the manufacturer’s instructions. Leading the way in the production of premium, long lasting lubes, ID Lubricants offers a range of personal lubricants designed to meet the needs of a wide range of customers. Just a few drops of one of these highly concentrated formulas can take your massage experience to a whole new level. collection is dedicated to the betterment of the body, mind and spirit. Brought to you by Joy Division, AQUAglide and BIOglide lubes are some of the most popular lubes on the market. Completely tasteless and odourless, this range of lubricants offer long lasting glide without leaving any sticky residue. 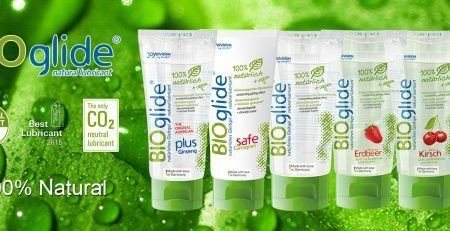 Perfect for whole body use, massage and for use with handheld massagers, the AQUAglide and BIOglide ranges of personal lubes offer customers an easy and affordable solution whenever lubrication is needed. While many people might think that personal lubricants are only needed by women who are going through a ‘dry spell’, using personal lubes as a massage lubricant can make almost every massage experience more enjoyable. Whether you plan on using your personal handheld massager on your own or you want to treat a loved one to a relaxing experience, personal lubricants used as massage gels are the perfect compliment to any massage experience.